Data is all around us, but we cannot see it. 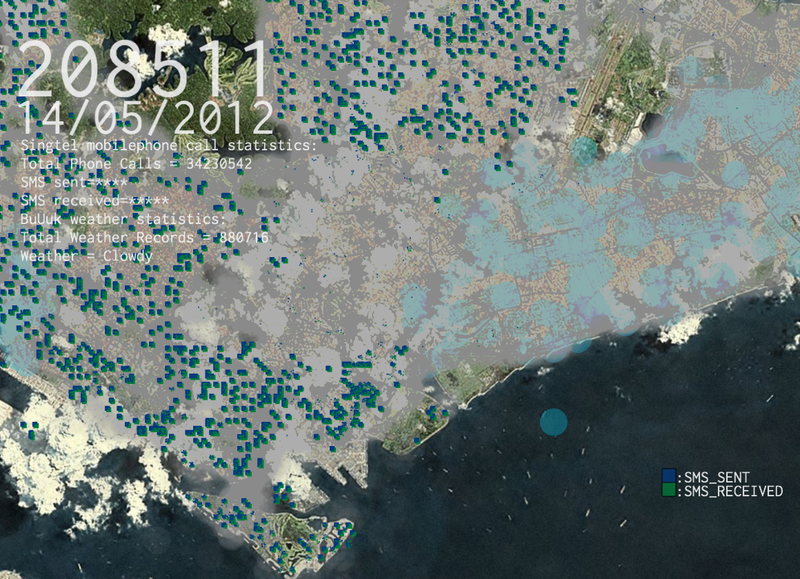 What if the invisible networks in our city could be made visible to everyone, even those who are offline? 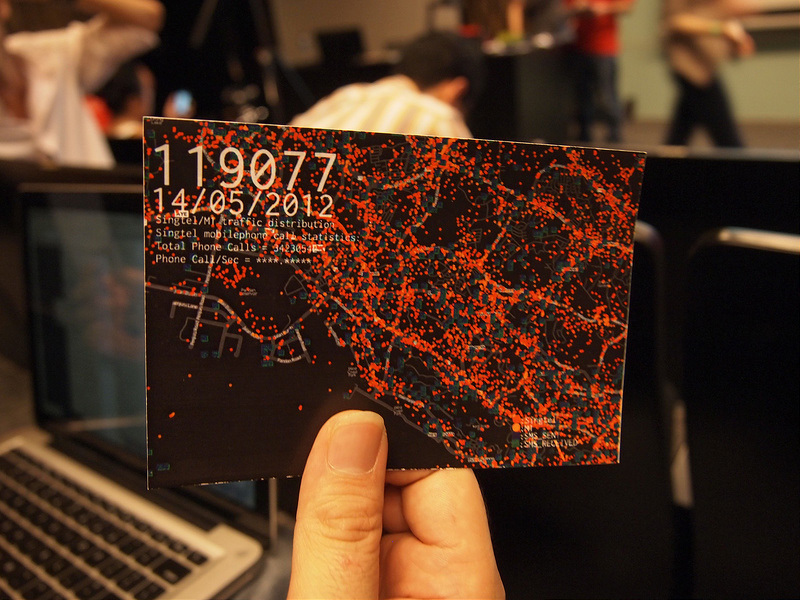 The Postcode Postcard was a simple prototype that aimed to visualize the local mobile network data and other datasets in Singapore, and to render this into a physical postcard that can be printed on the spot and distributed as a real postcard that can be mailed to a friend. The Postcode Postcard would involve a self-serve kiosk where people could enter their postcode and receive a customised postcard making the mobile connections around their postcode visible. Some people are not aware that their mobile usage leaves behind digital traces, or how it would look like if all the data traffic in Singapore were to be visualised at the same time. We want to turn the abstract notion of connectivity into something that is visible and physical like a postcard – and by doing so, increase awareness of big data and its potentials. A collaboration with Yuta Nakayama (a design engineer with National University of Singapore).